As per the Dain Deepaxe post, I’ve picked up Dungeons & Dragons for the first time in 20 years. 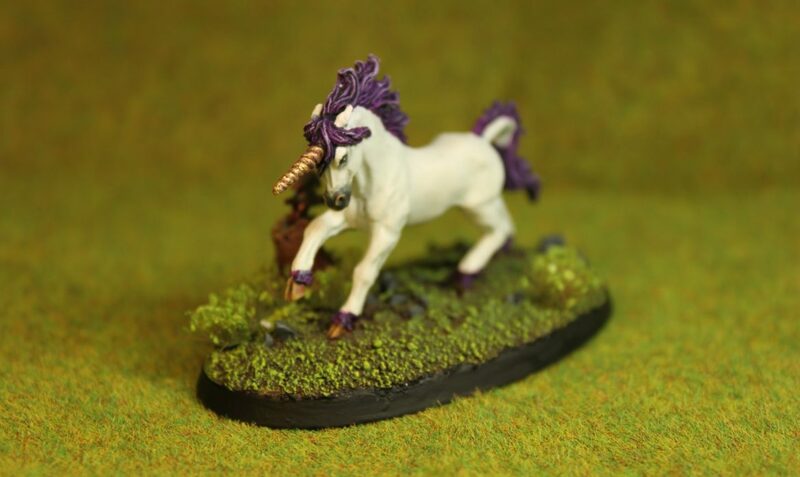 When I picked up the rulebooks, my partner spotted this amazing Unicorn, Silverhorn, from Reaper Miniatures and I am very happy with the result. I do love this “Mio Mini Pony” colourscheme, which I’ve also used on the Thundervale Huntress from Super Dungeon Explore and plan to use it for the Unicorn Pet for Arcadia Quest.